The Heavy Denim Kilt With Straps is made out of a durable material that can withstand pretty much anything you throws at it. 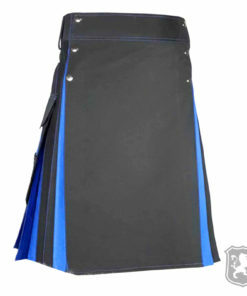 It is specially made for tough jobs which means it can do pretty well under harsh conditions. 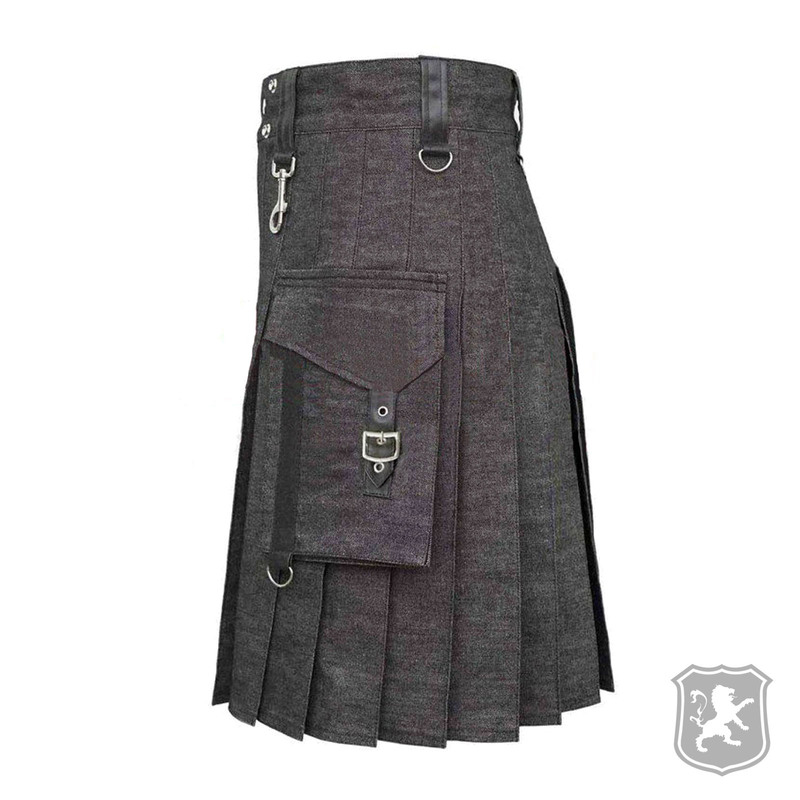 The kilt in actual is made up of denim fabric with two flap pockets on each side of the kilt. 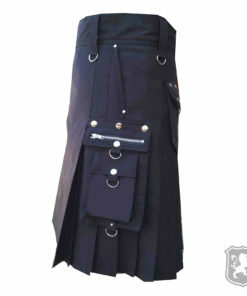 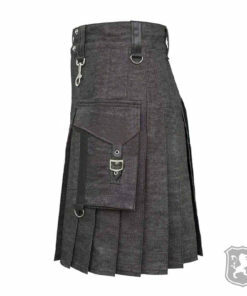 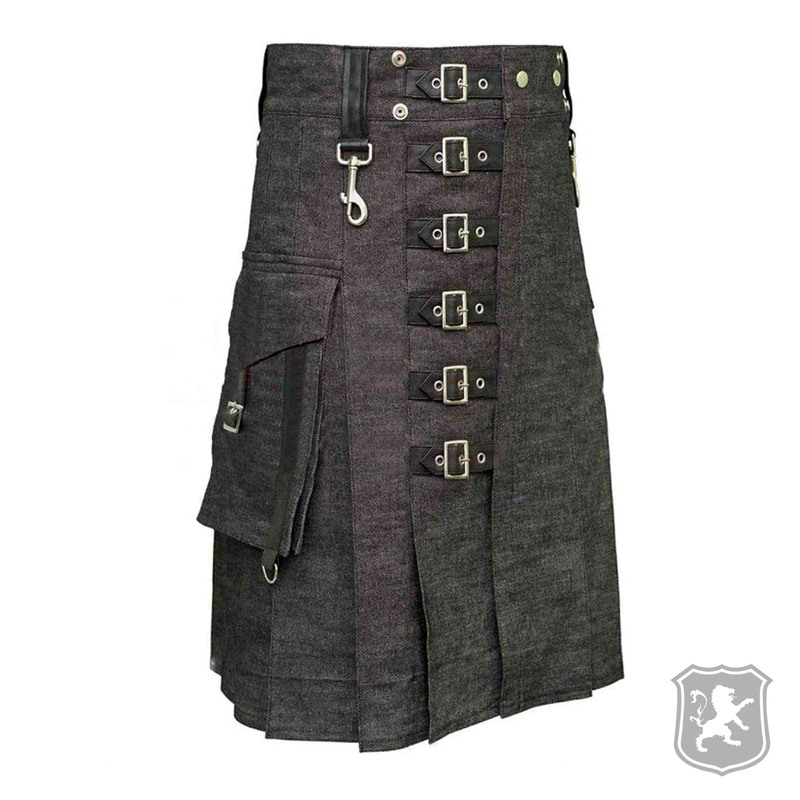 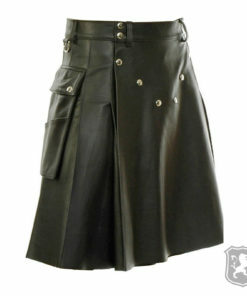 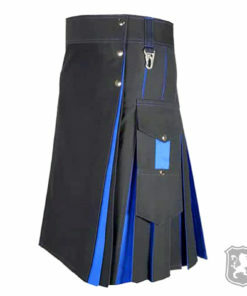 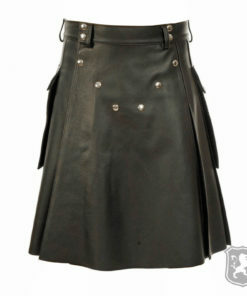 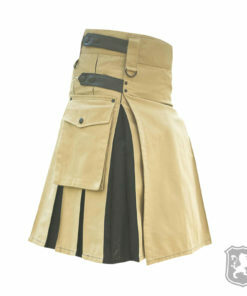 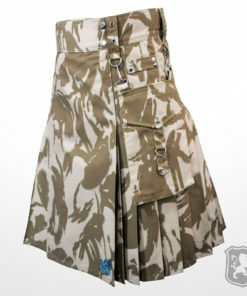 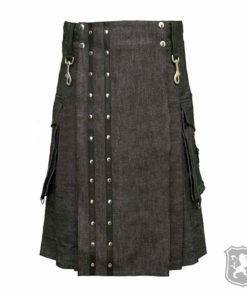 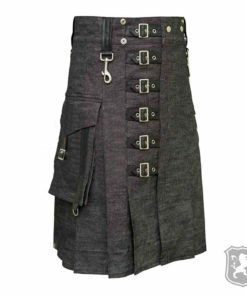 On the front of the kilt you will see that it is nicely decorated with two leather straps and chrome buttons. 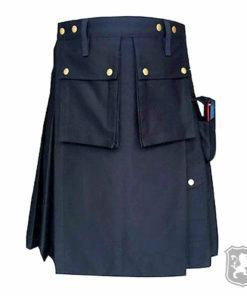 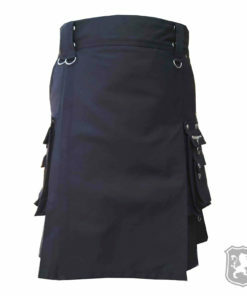 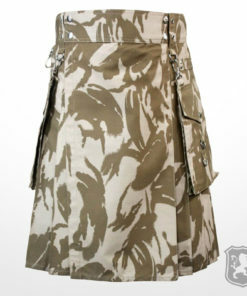 The apron on this kilt is detachable which means you can also remove it or change it with another one. 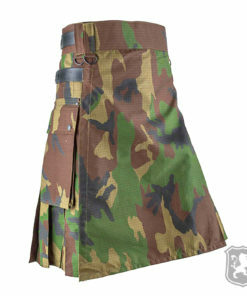 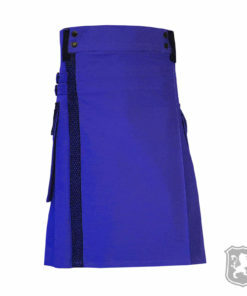 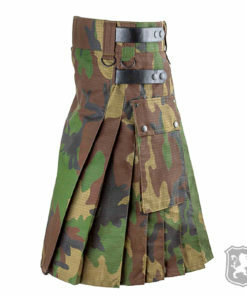 This kilt gives you the option to customize your kilt the way you want it. 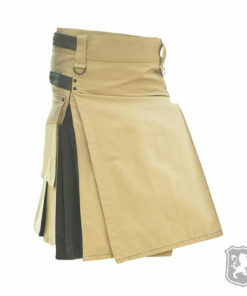 On the side, it has two large flap pockets that can be used to store your necessary things. 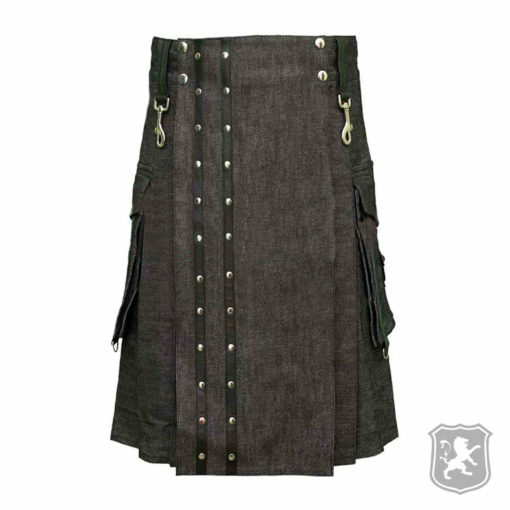 The pockets have leather straps and buckles on them. 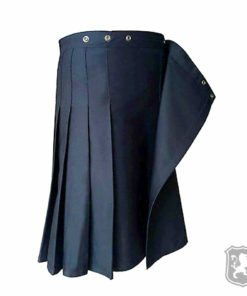 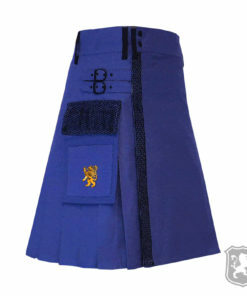 The pleats are sewn deep to make the kilt comfortable to wear.